………and charging the government for the cost of the prescriptions NOT being filled. Owner of 184th Street Pharmacy, Ahmed Hamed, and pharmacists Mohamed Hasan Ahmed and Tarek Elsayed were arrested and charged with defrauding the New York Medicaid program, theft, and money laundering. They allegedly charged Medicaid 9.8 million dollars for prescriptions which were not being filled, and paying indigent AIDS patients a kickback for not taking their meds. Biased Sociology Classes and How to Avoid Them. Anna Chapman reports from the University of South Carolina that her Sociology textbook, by Karen K. Kirst-Ashman, is so extremely biased against political conservatives, “so in your face” that “people need to know about it”. The book is used for the Introduction to Social Work Profession and Social Welfare class, which is first in line in the USC social work program. Selections from the textbook, trashing Ronald Reagan with false claims, and painting conservatives as anti-woman and anti-charity, reveal the author’s divorce from reality. Ignoring Reagan’s numerous female appointees, including first women ever appointed to the Supreme Court, UN ambassador, and Secretary of Transportation, the book stated that Reagan “ascribed to women primarily domestic functions, and failed to appoint many women to significant positions of power.” By the way, Reagan’s HHS secretary was also female. University of South Carolina is preparing kids for a low paying career in social work by filling them with information that just isn’t true. This institution and other universities are defrauding their students by 1) telling them lies, and 2) charging outrageous prices, and 3) encouraging huge indebtedness to prepare people for careers with nearly the lowest return on investment for college graduates. There are ways to protect yourself from high priced brainwashing in Sociology class, if you need to take it to fulfill a general educational requirement. Some high schools offer early college, and it seems that many community colleges are not as freakishly leftist as larger universities. You can opt to get a sociology requirement out of way using those options, for less tuition cost. If you are a decent test taker, use this method to fulfill the requirement. Pretend you are a flaming leftist while taking the CLEP test. The evil “Teddy Kennedy” persona got a 98 percentile on the sociology CLEP test that your friendly Pharmer took. CLEP testing is still the cheapest and best option for earning college credit to fulfill general requirements. Don’t forget to review a glossary or summary of sociology terminology and buzzwords before testing, or skim a textbook if you have a strong stomach. You can guess at the bogus study results and do OK. These avoidance strategies are a form of boycott, and serve to shrink a detrimental academic industry. Never pay full tuition prices to have your mind filled with Crap. …….. is available at Jill Stanek’s blog. After years of planned parenthood pushing the morning after pill, they have turned on Plan B One-step, admitting what Pharmer has been saying for years, that it’s very ineffective. 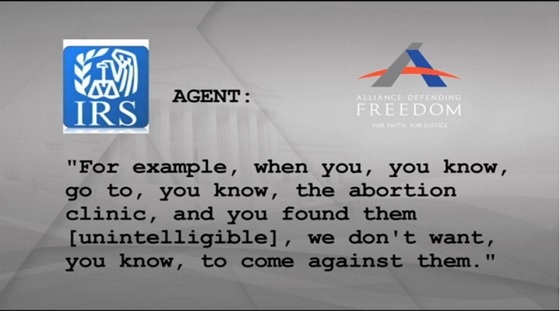 What Jill Stanek points out is that Planned Parenthood already had a campaign lined up to push Ella (ulipristal acetate) analog of the mifepristone abortion pill, as the new morning after pill, and an IUD, which could bring them even more cash than their abortion procedures do. This campaign was already in the pipeline BEFORE Mother Jones spilled the story of Plan B’s ineffectiveness to the low information crowd. Note that the video linked above was already uploaded on September 3, 2013, prior to the Mother Jones publication. 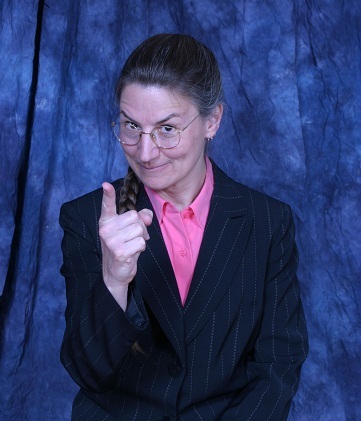 Anne Glasier’s study of Plan B inefficacy in women was published in 2011. Back in 2010, Pharmer brought to your attention the CHMP assessment report, filed by the manufacturer of Ella One to Europe’s version of the FDA. and explained some of the features of the pill. Initially mentioned was that Ella One, which is called Ella in the U.S. is not very effective, and that the embryocidal dose of the pill is lower than the dose required to stop ovulation, demonstrated in the animal trials. Also from this report, is the information that the 30mg dose is designed for 60 kg (132 lb) women, is designed to deliver the 0.5mg/kg dose which the manufacturer stated to be insufficient to stop ovulation, but effective against pregnancy. This dose is not sufficient for larger women, and so Ella has similar efficacy problems as the various forms of Plan B and Plan B One-Step (levonorgestrel). Expect planned parenthood to sell Ella as long as it can get away with it, then kick the morning after use aside, as women are persuaded to wear the indwelling coat hanger, Para-Gard, a copper IUD. Pharmer thinks that planned parenthood will always keep Ella around generically, since it can be substituted for the mifepristone now marketed in the U.S. for chemical abortions. What Happens when EBT (Welfare) cards show no limits? It’s like having the debt ceiling removed. When a glitch caused the limit on EBT cards not to show, Walmart execs made the decision to allow card users to buy food anyway. This announcement at stores in Mansfield and Springhill, Louisiana, caused a huge free for all which cleared shelves at the store. Police had to be called in to manage the situation. People left with far more food than the limits on their card would have allowed. When the stores announced that limits again were showing, remaining people departed the store, leaving cards full of food in the aisles. Walmart corporate said that they would not press charges against one woman, who rang up $700 worth of food on her card that had $0.49 remaining on it, if she left the food behind. Walmart spokesperson, Kayla Whaling would say only that Walmart made the decision to continue to accept EBT, WIC and SNAP during the outage, so people could get food for their families. She said that transactions were monitored during the outage. What can we take from the story? Society is declining rapidly as people have come to feel that they can imitate their federal government and president. Truth Revolt. This site will enable you to see who funds the lying, leftist lamestream media. You can use the information from this site to direct your money elsewhere, to the best of your ability. This site will remain linked on the sidebar of the Pharm. Those who purport to know what’s best for us have quietly changed the standards of education in the United States. Movement against this change has gathered steam, and is beginning to influence election results. Propelled by money from the Gates Foundation, new standards and assessments were produced by the National Governors Association Center for Best Practices and the Council of Chief State School Officers. All of the states except Texas, Alaska, Virginia and Nebraska accepted the new standards because billions of dollars in federal grants had been tied to the programs. Indiana’s board of education also quietly adopted the standards. This is the reason that the state’s superintendent of public schools, Tony Bennett was replaced by relatively unknown democrat Glenda Ritz. The upset caused the rest of Indiana politicians to become much more friendly to the idea of repealing Common Core. There are claims from the Common Core proponents that this program does not interfere with educational choice. The problem is that schools feel compelled to adopt the fluff textbooks and teaching methods because they are scored on their students success with the standardized tests developed by the Common core committees. If you find that you’re unable to help your kids with the “why do you think this answer [in math] is right?” questions that they get, instead of more problem solving types of homework….. your kid is being victimized by Common Core. Functional scientists realize the most significant limitation of their discipline: Science is not equipped to answer WHY. So you can imagine what useless things the Common Core concept can do with a biology or chemistry text. Your friendly Pharmer has seen the stuff. Much of the kids’ time is spent learning how to B.S. on the tests, and write things specifically to satisfy the standards, rather than what is actually correct or useful for performing in the real world. Kids with brains to spare can deal with the extra effort of rote learning some garbage which is only intended to satisfy standardized tests, in addition to what they really need to know in order to function, create and invent. The real damage done by Common Core is to the kids who can’t learn as fast, and only have sufficient time for the approved material. The Common Core concept is a large, untested method of teaching. It is better adapted for the propagation of dogma than for conveying useful math and science skills. It had been decided by the elites that the entire population of the United States is suitable guinea pig for their new idea. Fortunately, the Indiana legislature, and Governor Mike Pence have decided that Indiana students will not have to be part of the experiment. If you would like to read more on how Indiana became the first state to rescind the implementation of Common Core standards, check THIS. Hint: we were spared through the efforts of parents. Pharmer wishes success for your state in removing this garbage from your life. The current fall guy, Joseph Grant had barely gotten moved into the office before the scandal in the IRS division that handles tax exemptions broke. 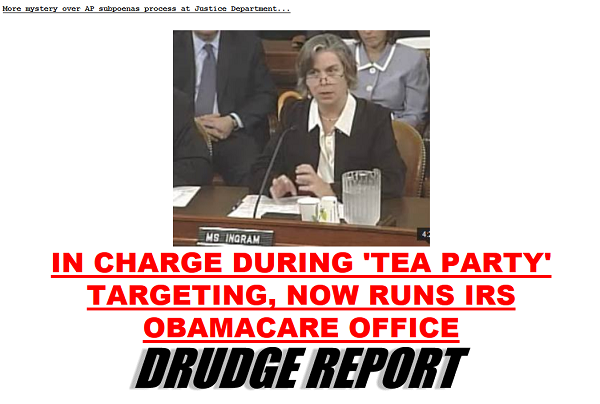 This kind of news is rolling out becaue the media can only save Obamacare if it purges the IRS very quickly. Pharmer hopes that Obamacare fails, and the IRS is replaced by a tiny little agency that collects a flat tax. Students at University of Wyoming have been rallying against violence in response to a threatening Facebook post directed at activist student, Meg Lanker-Simons. This missive appeared on a Facebook page called UW crushes, in which students could post who likes Whom, and in what manner. The aspiring victim might be facing legal charges of her own, for generating a tempest in a teapot. Meanwhile, the leftists are praising the good result of generating protests against (fake) violence. Yes, the headlines become ridiculous when the social problems of leftists are self generated.